This is a SPECIAL FULL DAY EXPERIENCE offered for the first time! Experience the embodiment of the Divine Feminine and the Goddess Energy. Online Complementation and monthly meetings available to continue this journey! This event is for women only. Los Angeles, CA, USA. This is a SPECIAL FULL DAY EXPERIENCE offered for the first time! 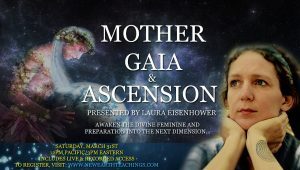 Experience the embodyment of the Divine Feminine and the Goddess Energy. After attending Awaken the Goddess Within with Victoria Vives Khuong, you can join us to continue our Sisterhood journey together. 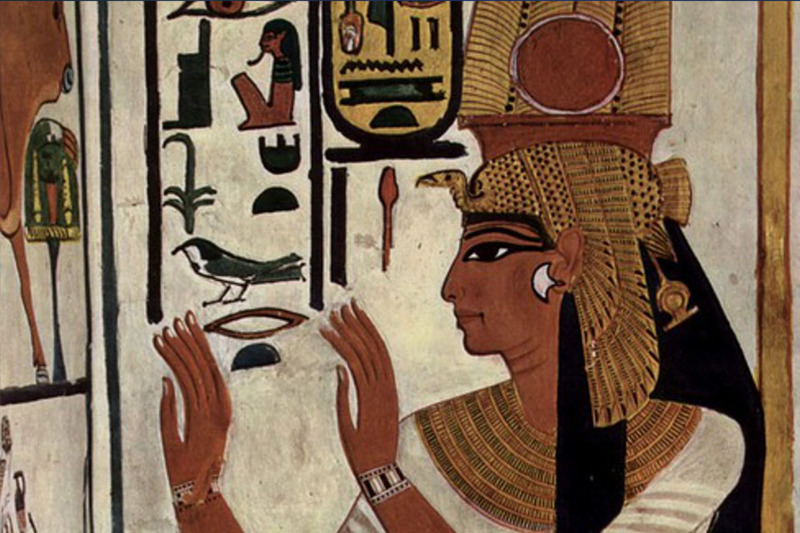 In this way, you can continue restoring Goddess energy in your body and cleansing and healing any past trauma. This event is for women only. Prerequisite: Having attended or being currently attending “Awaken the Goddess Within” with Victoria Vives. Please arrive with time enough to park and enter our Goddess Temple 10 min before the starting time. Doors will closed once the gathering begins. If you are running late, text me at least 15 min before the gathering at (213) 632-9707. The suggested love contribution for this gathering is $15. 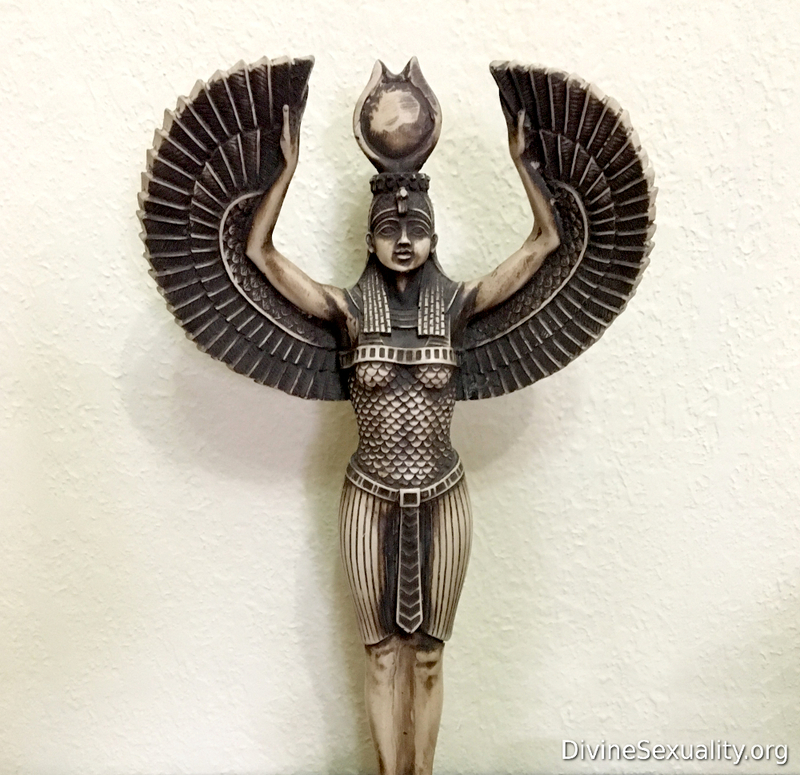 Free for those currently in the “Awaken the Goddess Within” series, although love donations for the temple space are still accepted if you feel called to contribute. You can place your contribution online or bring it in person. All in-person events are held in a peaceful sacred space in West Covina, 20 min from Downtown Los Angeles. Expresa la Energía de la Diosa Interior en esta Senda Sagrada. Disfruta de esta experiencia que permitirá que tus relaciones florezcan así como tu corazón se abre y comparte la energía Divina del Amor en su verdadera expresión. Saborea plenamente la vida en todo su éxtasis gracias a conectar con la fuerza primordial, curativa y creativa que siempre ha estado contigo desde tu origen y en tu misma esencia… EL DIVINO FEMENINO O SHAKTI. La dirección exacta se dará a los asistentes. Este evento es para mujeres solamente. 19 a 21:30 Encuentro del Despertar de la Diosa ~ Purificacion Precio: 25 con reserva / 35 sin reserva ** 3 euros descuento por haber asistido a encuentros previos del Despertar de la Diosa. Aplicable al precio con reserva. DETALLES DE "EL DESPERTAR DE LA DIOSA INTERIOR"
• Una transmisión con logo (palabra) para profundizar la conexión con esta sabiduría y despertar tus pasajes internos que te conectan con Shakti puro. • Un lugar sagrado donde reunirnos para acumular esta energía femenina, acceder plenamente estas enseñanzas, y sintonizar con estas frecuencias en toda su profundidad. Nos vemos pronto en el Centro Cielo y Tierra! One of the highest most sacred healing paths I found and it is intimately related to Divine Sexuality and Sacred Union. 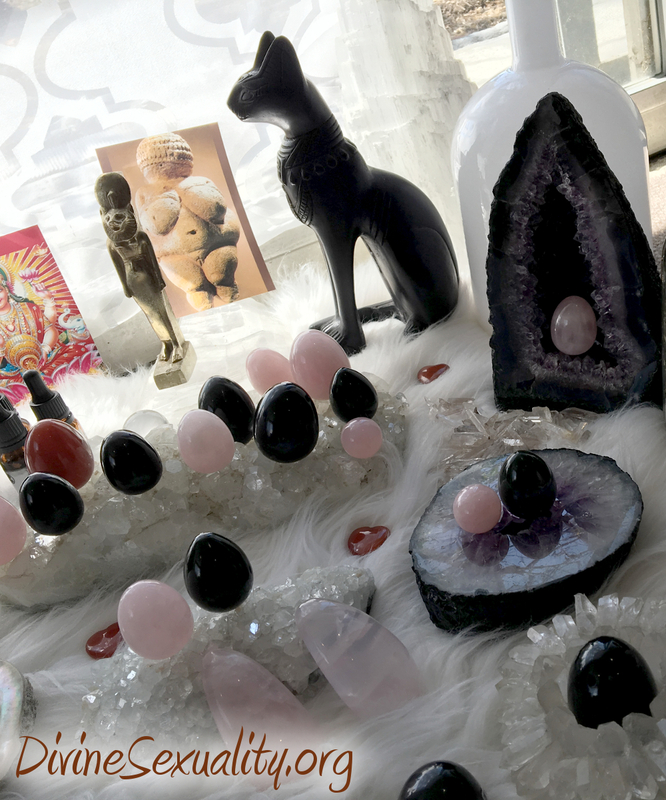 Work with natural Crystals, Oils and Herbs for the healing of your Goddess Body, your sacred inner temple. 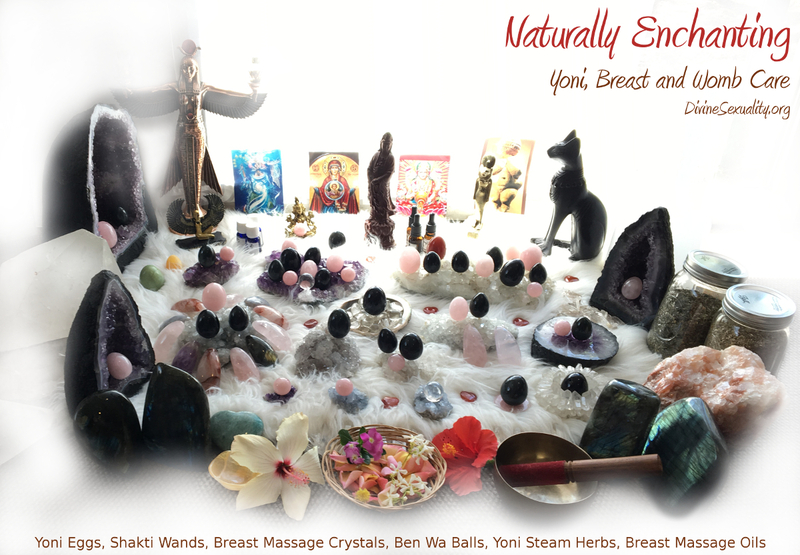 Enjoy 100% Natural Yoni, Breast and Womb Care with Healing Crystals, Herbs and Essential Oils. All items are 100% safe, authentic and free from enhancements so that you can have the most natural and powerful experience. The beautifying ingredient is a small amount of food-grade wax from the carnauba palm tree, the rest of the gorgeousness is brought by the Crystals themselves! Click Here to LEARN MORE ABOUT THESE BEAUTIFUL JEWELS! All items are blessed in Sacred Healing Ceremony. Below you will find a picture that was taken during the beginning of a Blessing ceremony during Earth Day and Full Moon. 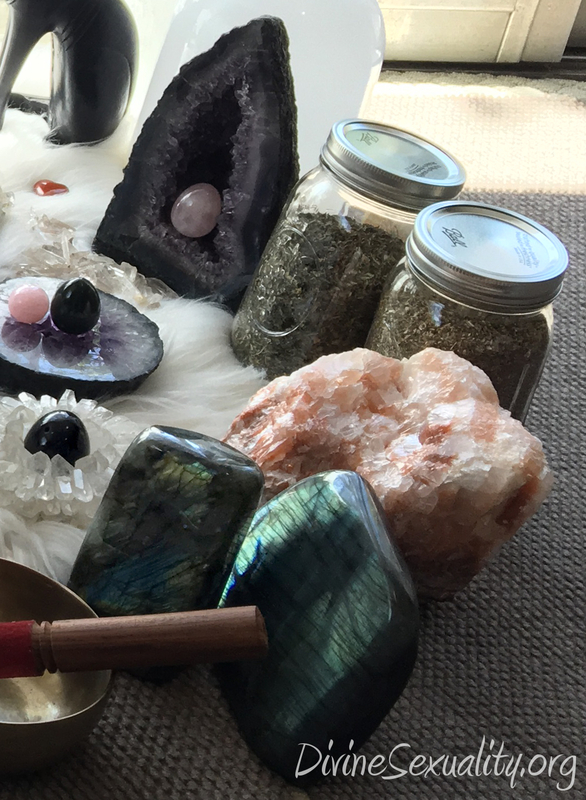 These healing beauties are cleansed and charged with Sound Healing, Mantras, Reiki, and much more! It is still good for you to cleanse them when you receive them, specially the Yoni Eggs. I personally enjoy to softly cleanse them with a soft gauze moist with rum or vodka. This may not completely sterilized the egg, so I then proceed to place them in a colander and carefully put them over boiling water steam (do NOT put them in boiling water, you can put them in boiled water that is comfortable to body temperature but they will stay more glossy if you just put them above the steam). I then cleanse them with Palo Santo. You can choose any cleansing herb that resonate with you. 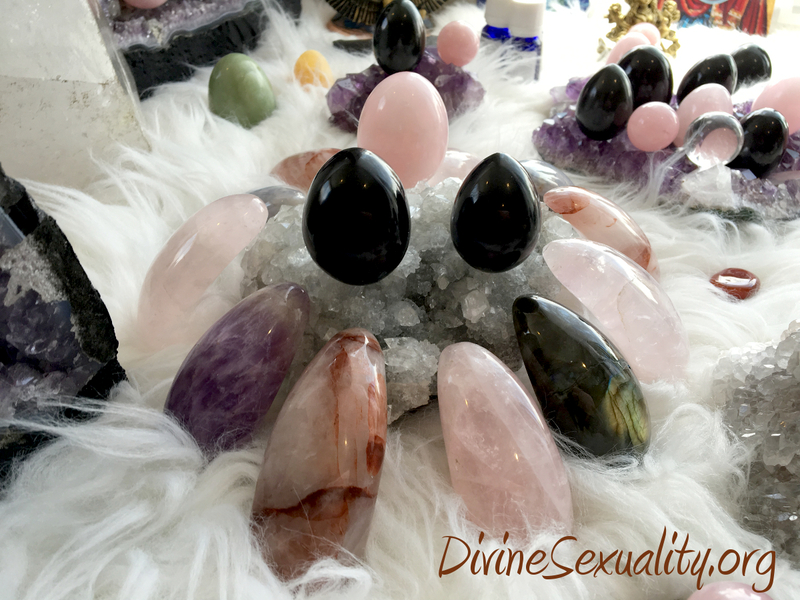 When you feel that the moment to work with your Crystal has arrived, ask your yoni, womb and or breasts, whether this is in alignment with your body and soul at this moment. If the answer is yes, proceed to work with your Crystals. To insert the Yoni Egg in your sacred yoni make sure to have the largest part above. Once inserted, you can lie down or do your regular daily activities or work in a kegel routine to strengthen your pelvic muscles. 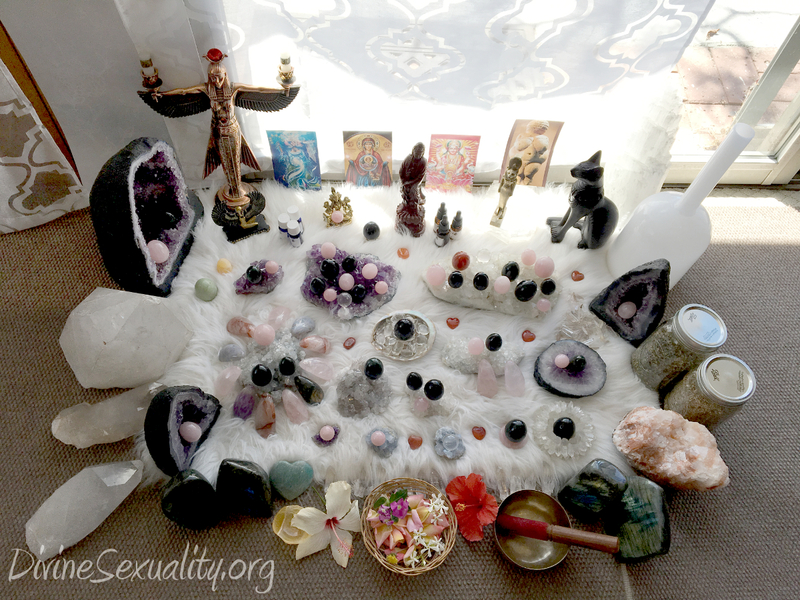 Fof further details on how to use this Sacred Crystals, Oils and Herbs as well as in depth Divine Feminine healing and embodiment of your Goddess expression, you can join Awaken The Goddess Within. Click Below to Order Your Healing Items! 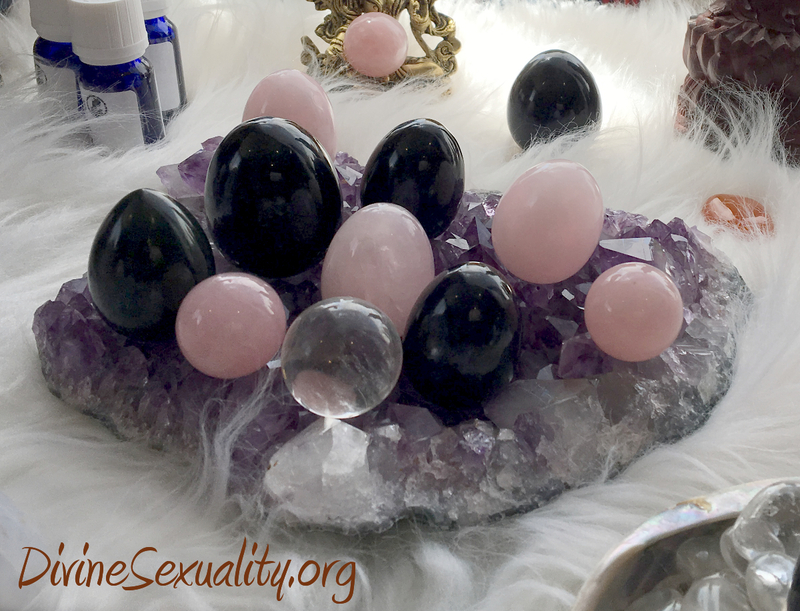 Yoni Eggs, Breast Massage Crystals, Yoni Steam Herbs, Physical Exercises and more! Nephrite Jade is authentic Jade in a deep dark green color. BREAST MASSAGE CRYSTAL SIZES ~ 7.5cm approx. PLEASE NOTE the shipping prices in the shopping cart are for US Shipping only. For International Shipping, an extra shipping fee may apply. Natural Crystals are diverse and organic unlike glass, so each egg is unique and some natural formations may appear as lines, rainbows, cracks or other. Because of this and because of the intimate nature of this items, there are no refunds, unless there is proof of a damaged item. All items are carefully inspection before shipping. If you are looking for something not in the above list, contact me using the below form and I may be able to help!
. : MEMBERS LOGIN : . . : ENTER THE TEMPLE : . . : YONI EGGS : . . : MEDIA : . . : POLICIES : . . : ESPAÑA : .